Golar LNG chairman Tor Olav Troim is a man who believes in gas with the enthusiasm of a late-life convert. The affluent former right-hand man of fellow Norwegian, the shipping magnate John Fredriksen, Troim spent much of his career running oil tanker fleets. Now 55, the naval architect and engineer heads to work with the zeal of a man confident, in his words, of the “$600bn/year opportunity” to be made from cleaning up ships, trucks and power worldwide. With 41mn barrels of oil/day to be switched out of oil into gas, he believes there’s more than enough opportunity to share around. “There are 50mn trucks in the world. An LNG-powered truck reduces fuel costs by 55% and CO2 by 20%,” Troim told his audience at consultancy Rystad Energy’s October 4 annual summit in London. “You make back the cost of the truck from four years’ fuel savings at $85/b oil prices,” he said. Those savings are the difference between the $27,000/yr cost of regular diesel used by a heavy-duty truck and the $11,500/yr cost of fuelling the same-sized Volvo LNG-powered truck at about $7.60/mn Btu. That substitution is based on 19mn b/d switched in the worldwide heavy trucks sector, 4mn/d in the shipping industry as an alternative bunker fuel, 2mn /d in rail transportation, 5mn b/d from isolated power plants that today typically run fuel oil or diesel and 11mn b/d in the residential and commercial sectors. Troim gives no timeline for how long this 41mn b/d switchover will take, but he argues that it is held back by a relative scarcity of independent players able to supply LNG to the global market profitably in a way that can compete with the giants. “Cheniere is probably the only profitable LNG out there, competing with Qatar Petroleum,” he said - but that’s now changing. Troim says his $600bn opportunity figure is based on a US LNG netback breakeven of $43/barrel of oil equivalent ($7.15/mn Btu). An even lower netback is possible from West African LNG, at $27/boe ($4.50/mn Btu), he argued, such that if sufficient volume were produced at that breakeven, the opportunity could reach $800bn. Also managing partner in Magni Partners UK, part of a Danish corporate financing advisory firm, Troim says firms that he is involved in have bought up distressed jack-up rigs – even those that are 30s years old – because he expects the market for jack-up rigs will revive in a few years thanks to a resurgent offshore E&P industry. Unlike oil, which Troim argues is a cyclical industry, the gas business is a structural play: investing in the switchover of 41mn b/d of supply from oil to gas/LNG will be a long-term payback. There are only 18 floating regasification storage units (FSRUs, or floating LNG import terminals) around the world today, says Troim, compared to hundreds of oil-production ships, or FPSOs. Let’s get to work in adjusting that balance and converting some FPSOs into FSRUs, he urged. Much of Troim’s wealth came from oil, including oil tankers and drillrigs. But from 1995 to 2014 he was CEO of firms including Frontline and Seadrill that were controlled by shipping magnate John Fredriksen and was known as his right-hand man. Troim still chairs jack-up drillrig company Borr Drilling, in addition to chairing Golar and a directorship at chemical tankers-owner Stolt-Nielsen. Golar and its main rival Hoegh LNG announced October 1 that they have each invested $24.75mn for a 25% equity stake each in Avenir LNG, a small-scale LNG business formed in 2017 by Stolt which initially remains Avenir’s largest shareholder with ownership of 50%. Avenir has four small-scale LNG carriers under construction at a Chinese shipyard, and a 10% stake in a mini LNG import terminal being developed in Sardinia, Italy and an option to raise that to 80%. Troim sees scope to develop small-scale imports by means of ISO containers into new markets, such as Brazil where he sees strong scope for converting heavy trucks to LNG. Other companies have used ISO containers to ship in LNG to areas of the Caribbean and the Portuguese island of Madeira. Golar provides a ship-based solution for a small US LNG importer in Jamaica, New Fortress Energy. Separately, Golar is an investors in a $1.74bn, 1.5-GW power project in Brazil opening in 2020 and will also be part of Brazil’s first non-Petrobras-run LNG import project opening early in 2021. One of Petrobras’ existing two FSRU charters is also on charter from Golar. NGW asked Troim about the problems that ‘Fortuna’, the planned 2.2mn mt/yr floating liquefaction (or FLNG) project offshore Equatorial Guinea. This was to have been west Africa’s second offshore liquefaction project after the 1.2mn mt/yr Cameroon LNG. But Fortuna has had anything but a fortunate history, having still failed to secure project financing. Fortuna FLNG is operated by Ophir which in May was warned by the Equatoguinean government it would lose operatorship – or, worse, have Fortuna scrapped if no final investment decision (FID) were taken by end-2018. The project originally targeted this in 2H 2016. Golar LNG has already signed the charter of a liquefaction vessel, subject to FID being taken. Troim said that Fortuna FLNG’s project cost is just $2bn, but its expected cash-flow could be $700mn/yr, so the amount to be borrowed on the project could be paid back within 18 months of full operation. It was a nightmare to finance the first of our 180 rigs, Troim reminded his audience. “Financing the 180th was easy – that was the one that killed that market,” he added, to audience laughter. “In the beginning, it’s tough. Ultimately the solution is to build [and finance] that vessel in China Inc. That is the way to finance it. China Inc is more willing than anybody to support the growth of LNG. But in doing that – you’re giving up the franchise. That’s the sort of choice we have,” added Troim. He was joined later by a panel, including a couple of financial experts, including Simon Davies, head of natural resources at the European division of Japan’s largest bank MUFG (formed 12 years ago from the merger of Bank of Tokyo-Mitsubishi with UFJ Bank). LNG Canada – the Shell-led venture that took FID at the start of October – is being financed on a purely equity basis, so without project financing, noted Davies. Co-partner Mitsubishi said that initial 14mn mt/yr onshore project will cost US$14bn for the liquefaction facility, excluding mid/upstream costs. Wood Mackenzie estimates $18bn for the liquefaction, $3.5bn for pipelines, with upstream costs incurred by each of the separate project partners – while others have reported an all-in cost of US$31bn. Davies said that LNG ventures without equity financing might benefit from a stronger offtaker. But on Fortuna, he noted that it’s difficult to secure financing with EPC (construction completion) risk. Another Asian banker told NGW more or less the same story later at the London event: Fortuna represents a political and regulatory risk. Moreover, even less risk-averse Chinese banks have shied away from lending to the project, unless guaranteed that the FLNG ship will be built in China and other benefits flow that way too. Troim said the offtaker was not a problem at Fortuna, as the price would be tied back to Brent; but acknowledged there were country and completion risks. 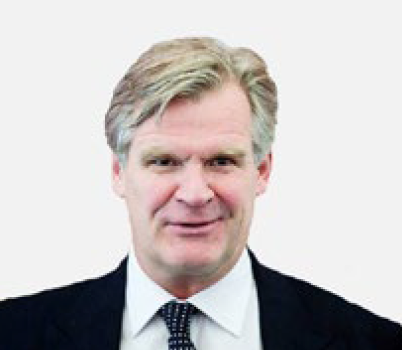 In its race against the clock to achieve FID, Ophir announced mid-September that – either bundled together with, or separately from, its other LNG assets – Fortuna is to be offered for sale to potential buyers or partners in the hope of returning value to Ophir shareholders, by getting projects realised.